It’s National Pepper Month, so we decided to honor our favorite chili pepper - the jalapeño! Jalapeños are cultivated in Mexico across 40,000 acres of land. Now that’s a lot of peppers! Jalapeños have traveled into space! Yes, really! They were the first peppers to travel into space on a NASA shuttle. Need a boost of Vitamin C? Put down the orange juice and reach for a jalapeño instead, as they are one of the best known sources of Vitamin C! Jalapeños also have a number of health benefits such as lowering your blood pressure, headache relief and they can even help you lose weight! Jalapeños are delicious and they’re clearly a good addition to your diet and the best part is, we’ve got them on our menu! Are you craving a spicy appetizer? Order some stuffed jalapeños! These are a favorite and come stuffed with savory cream cheese. If you want something a little more filling, grab an order of our nachos supreme. These nachos are loaded with ground beef, shredded chicken, refried beans, and lots of cheese dip. Top them off with lettuce, sour cream, guacamole, pico de gallo and - available upon request - pickled or fresh jalapeños! Do you love spice, but can’t handle the heat? Consider our authentic chiles rellenos - two large poblano peppers stuffed with cheese, lightly breaded and then fried. Delicious! 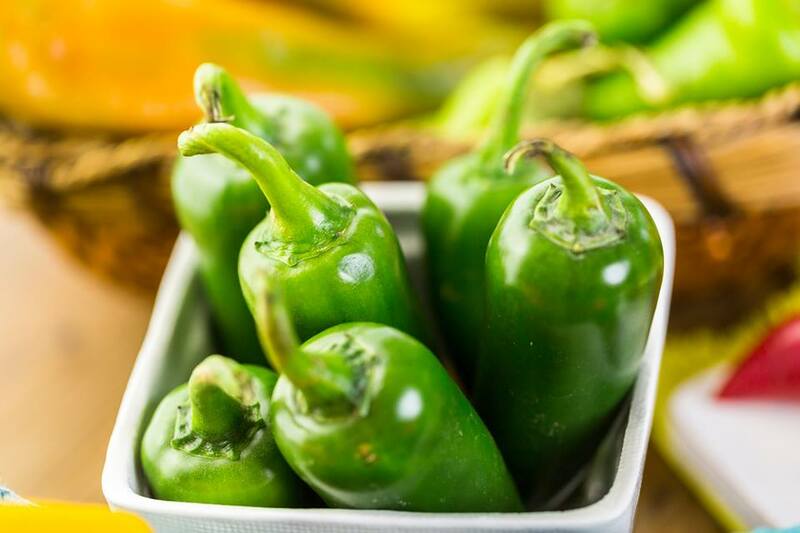 National Pepper Month just wouldn’t be the same without our stuffed jalapeños and chiles rellenos. Do you have a favorite pepper? Comment below and let us know!